Have you ever wanted to feed one of the earth’s most prehistoric creatures? 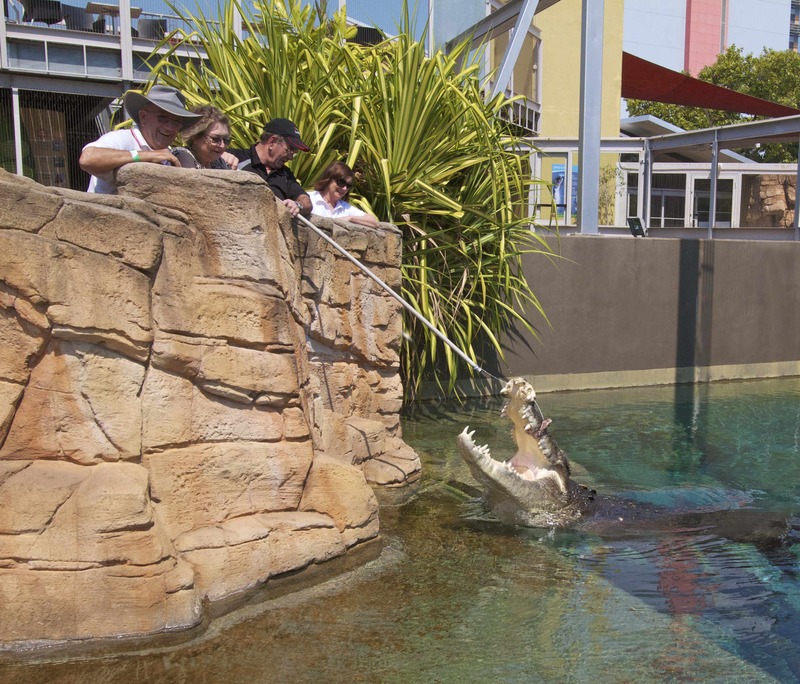 Crocosaurus Cove will soon offer its guests the unique opportunity to feed some of Australia’s largest Saltwater crocodiles as part of a 1 hour fully guided tour of the attraction. Highlights include an introduction to the World’s largest display of Australian reptiles and aquatic creatures of the top end as well as behind the scenes access into the world of the Saltwater Crocodile. Meet some of the more unique reptiles of the Top End as part of the tours VIP access to the Reptile House and get your feet feet as you enter the world of our 200,000 litre freshwater aquarium where you can help feed whiprays, sawfish, barramundi & archer fish! Under the supervision of our experienced crocodile handlers, participate in feeding an adult Saltwater crocodile and gain a greater knowledge of one of the world’s most deadly predators. Full day entry to Crocosaurus Cove also includes activities such as, Fishing for Crocs, Hold a baby Croc, Meet the Reptiles, Barramundi Feeding and more.